Hi everybody! For the next week we’ll be going to the Invertebrates in Education and Conservation Conference (IECC) meeting, presented by the Terrestrial Invertebrate Taxonomy Advisory Group (TITAG). This conference brings together educators, photographers, zookeepers, exhibit designers, consultants, and other professionals that use invertebrates in their work from across the United States. 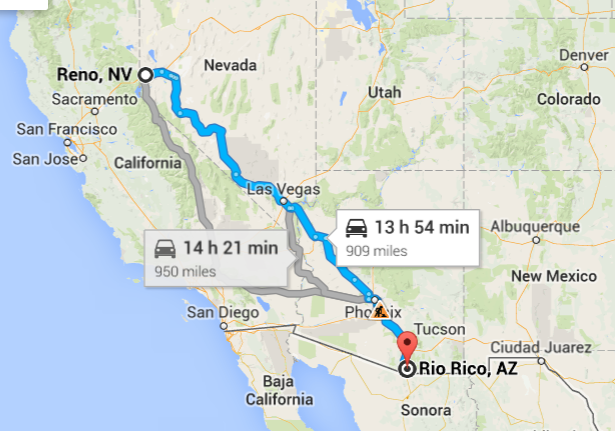 The conference is located in the tiny town of Rio Rico, Arizona, just 15 miles north of the border with Mexico. Neither Kevin nor Cynthia have been south of Las Vegas in a car! When the monsoons come in July, it brings a flush of vegetation, and with it, a flush of insects. Not to mention the Sonoran desert nocturnal wildlife, which is amazing. Kevin is presenting a talk on Saturday about Nevada Bugs during the education section, and we are looking forward to learning a lot during the day and seeing lots of amazing bugs in the hot desert sun. Look for pictures from the trip on our Facebook account!